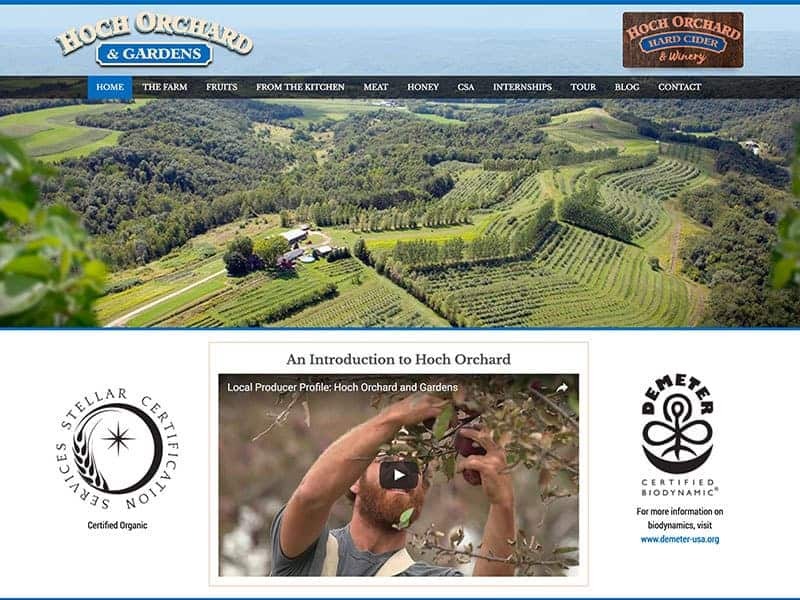 Hoch Orchard and Gardens is a certified organic family run farm located in LaCrescent, MN. At the farm you can find a wide variety of produce, honey, and even a few other hand crafted items such as homemade jelly, applesauce, and juice. CSA shares and limited quantities of organic meat are also available for purchase through the farm. Head on over to the new website to learn more about Hoch Orchard, or to see when you can stop and purchase some locally grown organic produce! Be sure to check out the Hard Cider & Winery pages.